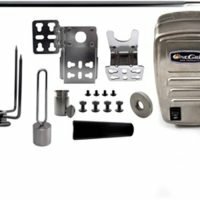 A rotisserie kit for your gas or charcoal grill is one of the most common gadgets around. Most of our rotisserie kit are a universal fit, and available in both battery and ac versions in various lengths. Rotisseries are great for grilling whole chickens or roasts and even smaller items can be grilled with the addition of a rotisserie basket. 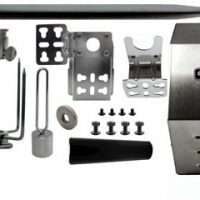 You basically have two types of rotisserie kits to choose from, each type typically includes a motor, motor mounting brackets, mounting hardware, spit rod, spit rod handle, and spit forks. Some models will include a counterweight as well. 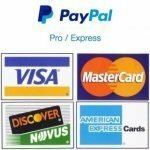 The first type is purchasing the rotisserie kit that your grill manufacture makes for your model grill. The best thing about this type of rotisserie is that you know that it will fit your grill perfectly, and most likely it would look better when mounted on the grill. The down side to these and this is a big downside is the price, these can cost four times (or more) as much as their universal fit counter parts. 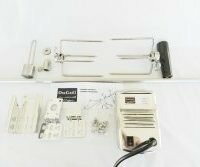 The second type is the universal fit type rotisserie kit. These rotisseries are much lower in price then those made by the grill manufactures, without much of a drop off in quality. The motor brackets have multiple mounting holes so that they fit many grill models. 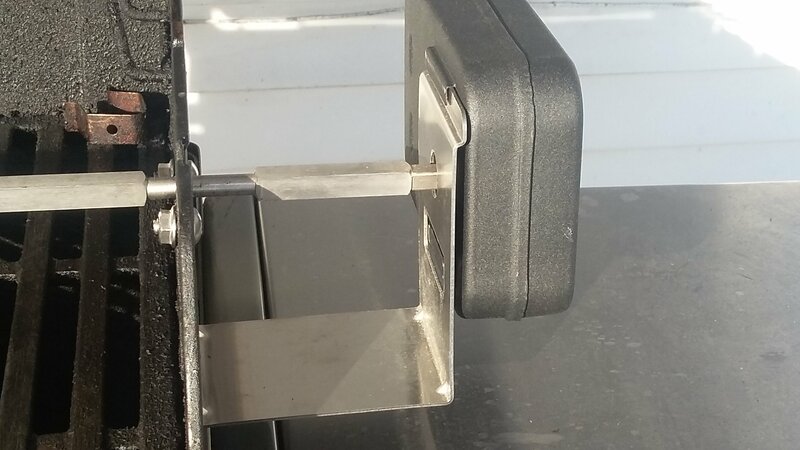 We at 4theGrill supply you with .pdf files of the brackets that you can print to be sure that the brackets will fit your grill before you order. 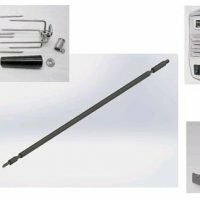 The next thing to consider is the spit rod size you require: standard length spit rods are 31 inches long, these will fit an average size 3 burner gas grill. To figure out how long of a spit rod you need measure the length of your grill hood and add 4 inches to that measurement. For example if your grills hood measures 32 inches the shortest length spit rod you can get away with is 36 inches. You are better off with a spit rod that is a little long then a little short. After you have selected your rotisserie kit you can always upgrade the different parts. We have a variety of rotisserie parts available from additional spit forks to battery-operated motors. Mounting a rotisserie kit is a very straightforward process. 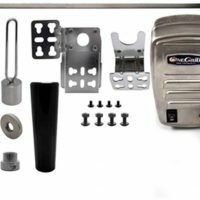 Start with the motor mounting bracket, (if you have a side-burner this need to be put on the opposite side of the grill) place 2 screws into the bracket and slid them through the hole in the bracket and the side panel of your grill and loosely put the nuts on the end of both screws. Slide the motor onto the bracket and slide the spit rod into place, if your grill has notches for the spit rod place the opposite side of the rod into the notch. If not get the rod as straight as possible. Hold the motor in place and check the spit rods clearance. You want the rod as low as it can get it in the notch without it dragging on the grill itself. 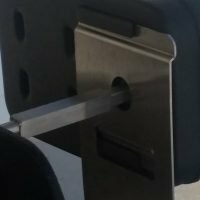 Adjust the mounting bracket as necessary and when you are satisfied with the rod clearance tighten the screws. Once the bracket is tightened close the grills hood and make sure your spit rod will not drag on that either. 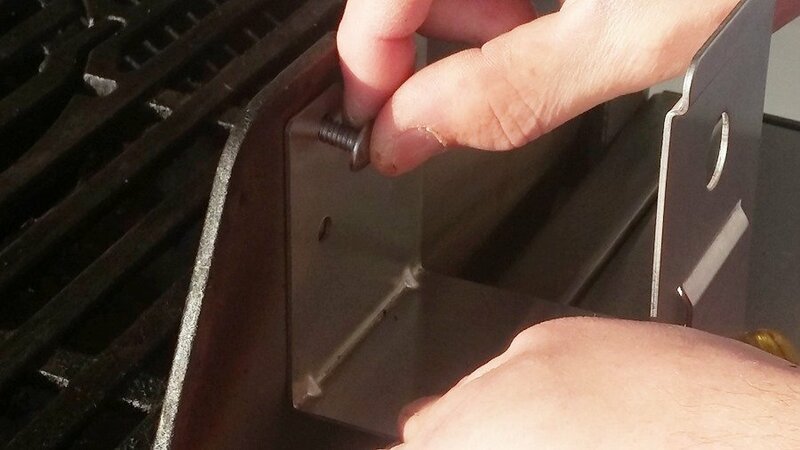 If your grill has notches in it for a spit rod a bushing bracket is not needed. 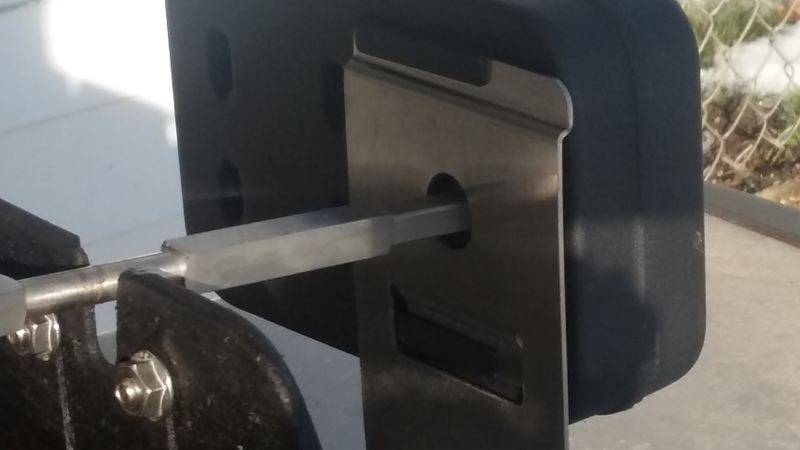 If it doesn’t have the groove mount the bushing bracket the same way you mounted the moor bracket. Slide the spit rod bushing onto the rod with the thumbscrew towards the motor (away from the motor if you use the bushing bracket). 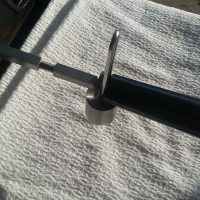 Place the rod into the motor and slide it into position, the perfect fit would be for neither edge of the bushing to rub the grill hood or bracket. Tighten the screw, this is piece typically will not be removed from the rod so tighten down it good. 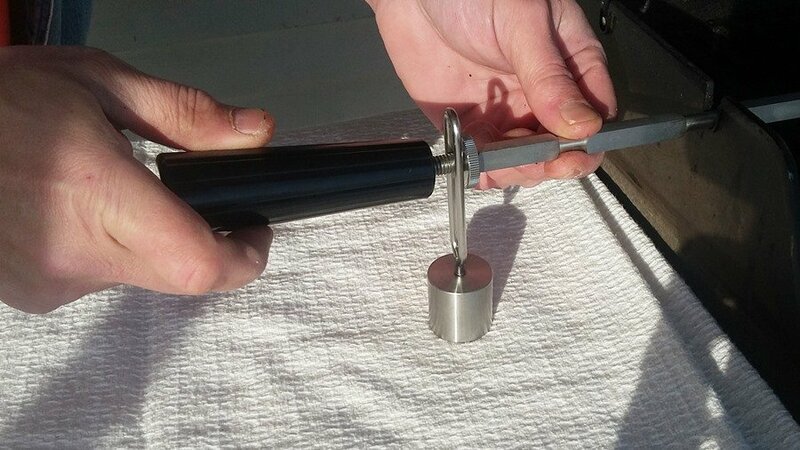 Next we place the counterbalance onto the handle side of the rod, it should hang down loosely. Screw on the handle stopper (if you have one) and handle and your finished. 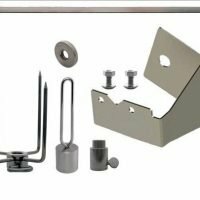 That is all there is to mounting a rotisserie kit on your grill.